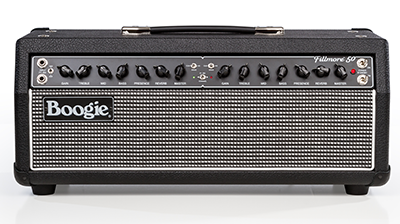 Humbly named in tribute to the renown bi-coastal venues that showcased the biggest names in Classic Rock over decades, this new instrument has been dubbed super-responsive, nuanced, organic...and "vintage-inspired Magic" by those who've experienced it. Subtle saturation that serves, not smothers, your style. The Mesa/Boogie Fillmore 50 Head is also available in Fawn Slub Bronco with Gold Jute Front Panel.